L’Oréal founder Eugene Schueller once said there were two types of advertising: that which was designed to maximize sales and that which was designed to raise interest. It was his firm belief in the power of the latter that drove him to establish the first monthly publication dedicated women’s health and beauty — it’s also what led him to purchase a hairdressing magazine he once edited. While this type of thinking was novel in the early 1900s, the idea of brand-as-publisher is more commonly held today. And though many invest in content marketing solely to drive sales, Schueller’s dichotomous approach lives at L’Oréal. A few years ago, the beauty brand’s U.S. division unveiled Makeup.com, a general interest cosmetics site that reviews products and shares tips. It’s the perfect vehicle for brand integration via product placement (and a rather expected marketing move). More surprising is what L’Oréal’s Paris-based marketing team did last summer: they launched an unbranded bilingual site dedicated to providing a behind-the-scenes look at beauty professionals and the trends that excite them. FAB, an acronym for Flair-Artistry-Beauty, features contributions from influencers in the space and — gasp — even highlights L’Oréal competitors. What’s really shocking is that FAB doesn’t try to be everything to everyone. It’s pointedly for those with a deep, deep interest in getting the most out of beauty products. Verhulst-Santos admitted that within the first few months, they noticed that professional hair care tips were getting the most engagement. 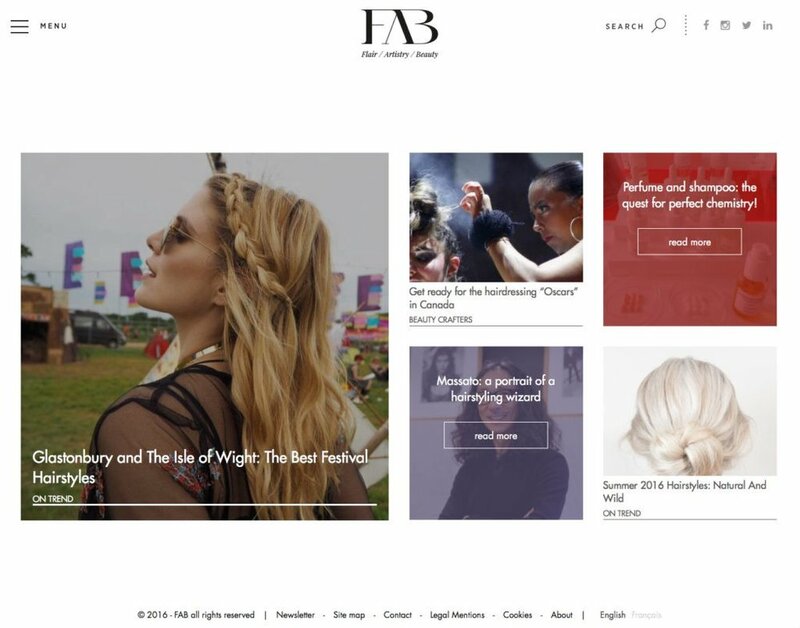 This is despite FAB launching with a blended mix of written and visual content covering hairstyling, nail art and cosmetics. 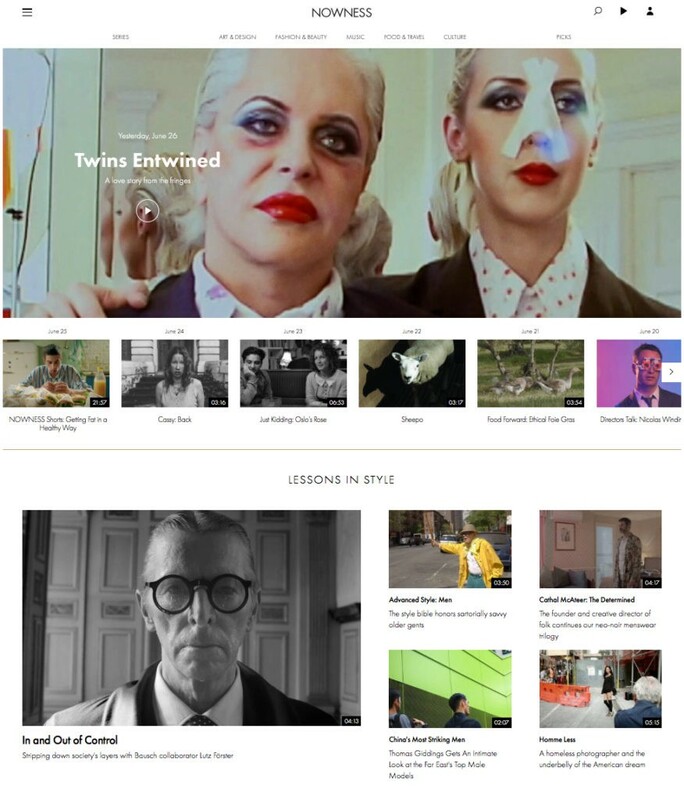 The FAB home page now reflects this preference and the specific intelligence can inform L’Oréal’s other, more branded content marketing initiatives (such the Hair section on Makeup.com). Luxury goods conglomerate LVMH likely sees the same value from its unbranded Nowness site. Currently in its sixth year, Nowness gives emerging and established filmmakers an outlet to tell unique stories. While Nowness is fairly broad in its focus — food, music, travel and art are all represented — LVMH is no doubt looking at visitor engagement with the site’s fashion content. With monthly video views hovering around the 5 million mark, visitor consumption habits can be a huge boon to LVHM’s disparate marketing teams (helping dictate what content marketing they develop for their respective brand). I’ve previously written about using other platforms as a content marketing “sandbox,” but I think utilizing owned and unbranded platforms like those shown above is also a smart move. The content marketing engagement data gleaned from these experiences can serve as de facto market research. Seeing as L’Oréal’s flagship brand is known for haircare products, the knowledge it’s gained through FAB is invaluable. Though the company hasn’t given much detail on the overall success of the site, Verhulst-Santo did say in November that her team knows what topics have a substantially lower bounce rate and which earn significantly higher time on page. Just imagine what you could learn from content that’s free of brand bias.